2/1/2008 1:41:30 PM Mountain Jim:: thanks- so Saturn is an energy zone and the conjunction of venus and Jupiter today would be one too (1423) if we were in that neighborhood? 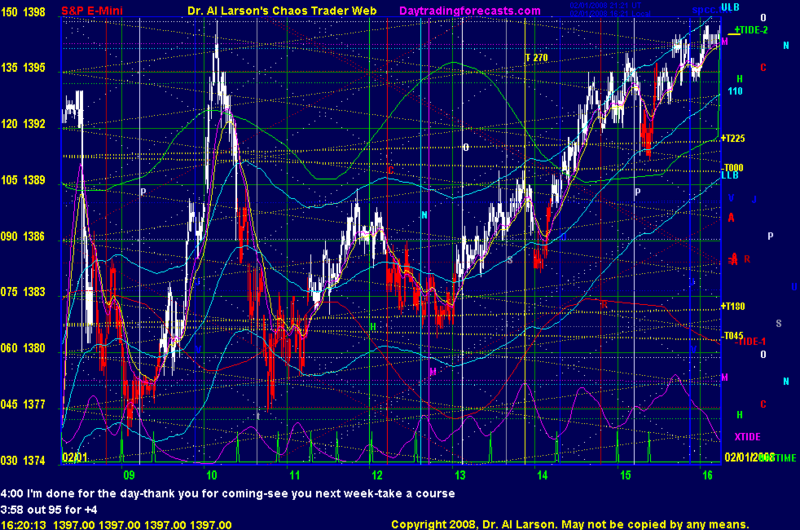 2/1/2008 1:15:03 PM Mountain Jim:: how does Al know the market will push up into saturn moon 1401 level? 2/1/2008 6:19:02 AM Mountain DCF:: Good day everyone.